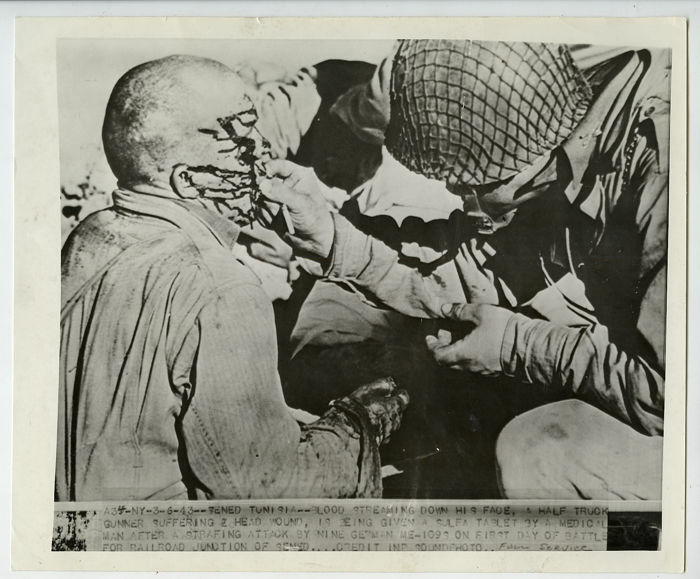 Title: "Medic Aids Wounded Soldier"
Condition: Minor rippling to the paper with dings and small creases throughout. 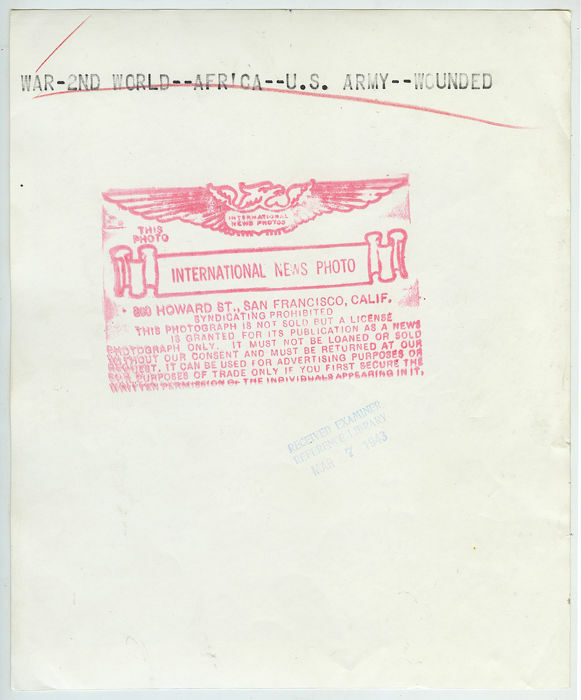 Overall warm toning to the paper. corner bends/creases. 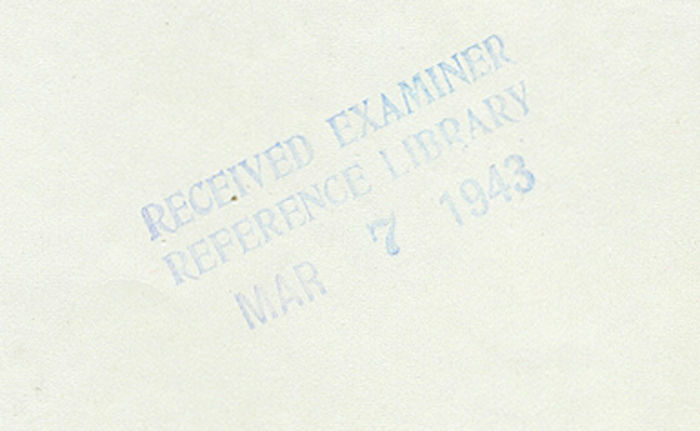 Agency stamp, typed text and date stamp on verso. 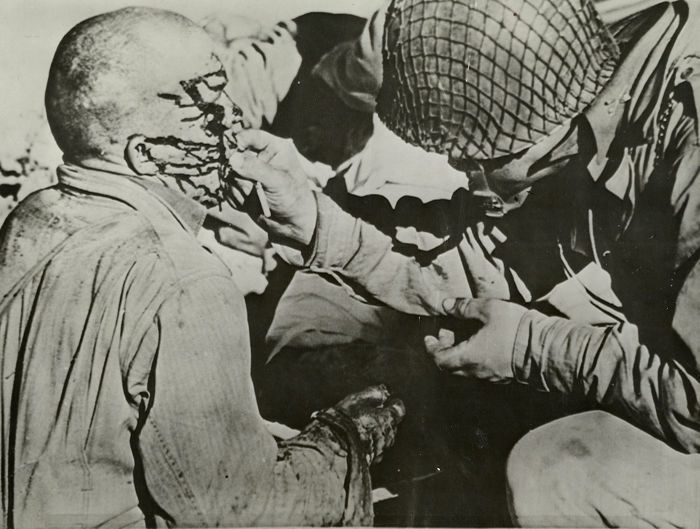 Vintage shot of a medic aiding a wounded soldier in Tunisia, 1943 by important photographer Eliot Elisofon while on assignment for LIFE Magazine.